Area rugs are an important part of interior décor, especially for multifunctional spaces like living rooms. 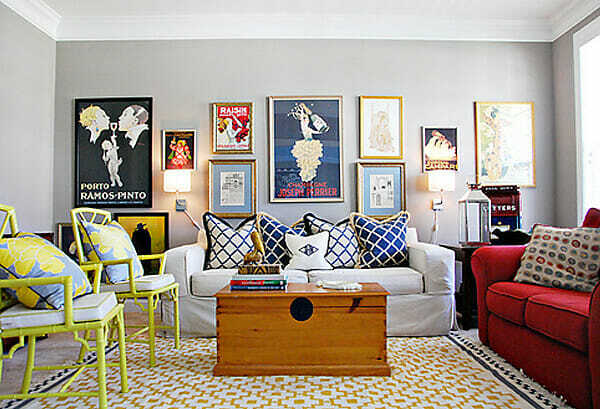 Besides having a soft under foot and creating warmth in the space, living room rugs also frame organized focal points. Often used as artwork too, they help determine the style and color scheme. Choosing the right area rug is one thing. Yet, sometimes one big rug in a space just isn’t enough. Combining rugs can make a true difference in the design of a space. The following are some great reasons to consider rug layering. Does your living room feel too formal and unused? Some well designed living rooms are under used either due to layout or lack of comfy pieces. 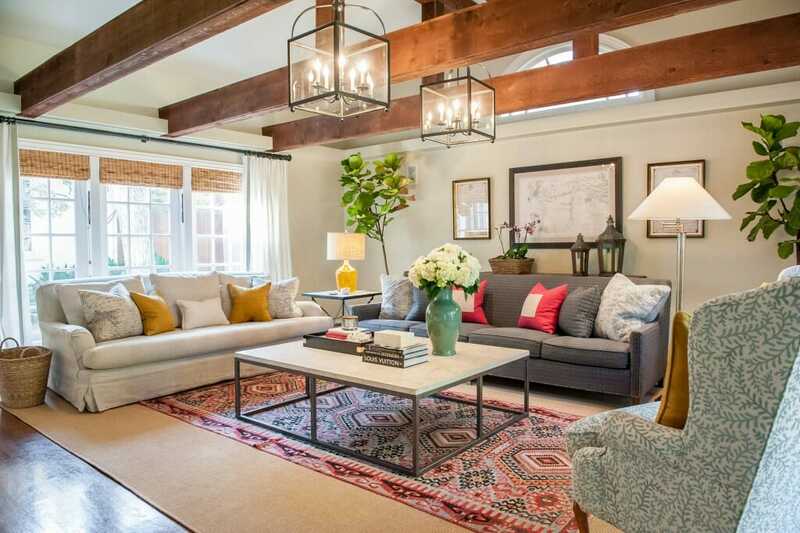 Try layering a rug over another rug to create that comfortable and inviting lived-in feel. Sometimes a small rug like this Riad Shag Rug where you put down your foot is all it takes to create that warmth. 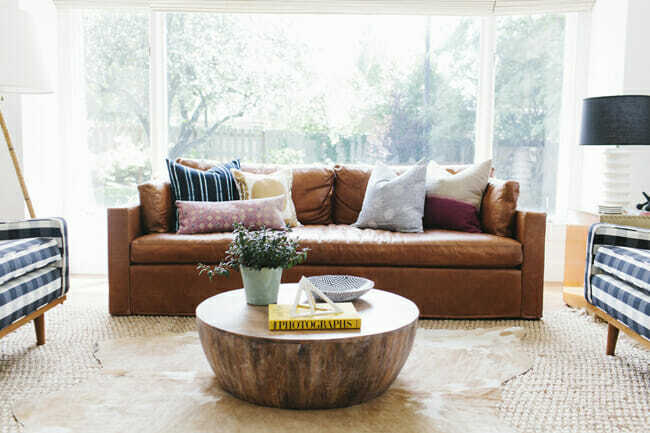 Is your cowhide looking a little lonely and out of place in your living room? Possibly the trendiest of living room rugs, the cowhide print is great for adding texture and country charm to a space. Alone, it can be just the thing to make wooden floors pop. For a more subtle look, try layering a neutral area rug like a sisal underneath the cowhide. Make sure that the area rug goes under all of the surrounding furniture. 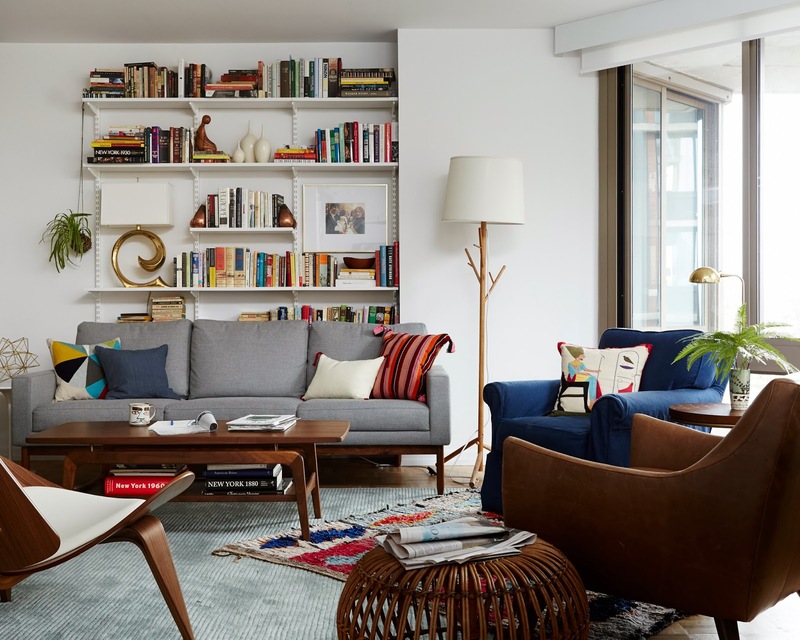 To create a focal point, the cowhide has to cover only half to one-third of the area rug. See if this brings the dramatization to a more comfortable level. Are you over your carpeting but limited in removing it? Carpet removal is both time consuming and costly. 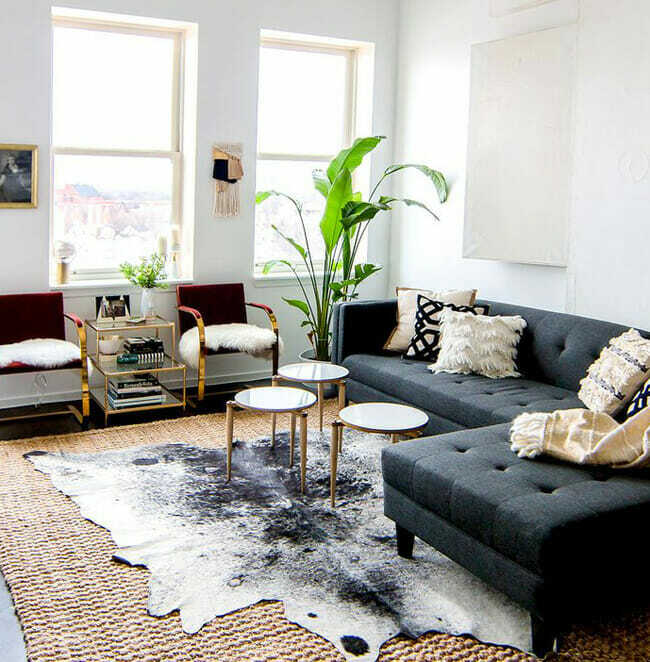 A simple aesthetic solution is adding a living room rug on top. Experiment with texture: a high-pile, nubby, or faux-fur rug can captivate visually. Low pile rugs can introduce bright colors or patterns to bland or neutral carpeting. Shifting or wrinkling of rugs on carpet can be a pesky and at times, dangerous. problem. Consider bulkier, heavier rugs which tend to stay in place more easily. Rug-on-carpet pads made specifically to keep rugs in place on carpeted areas are also an effective solution. Did you go shopping for one rug and fall in love with quite a few? If you cannot pick “the one” or even two, go for three. 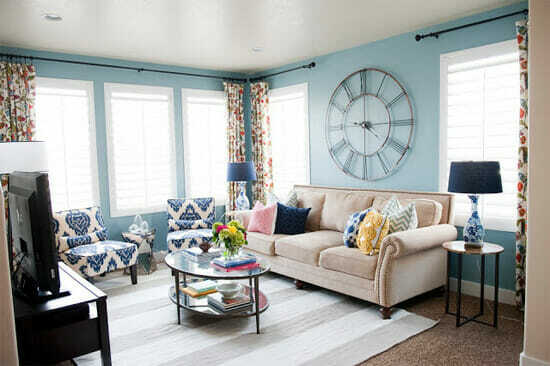 Mixing up smaller rugs expands the possibilities of color and pattern combinations and often saves money. Should they be the same style? Size? A professional designer can offer interior design help on the perfect rug selection for your space. Does the size of your rug seem not quite right? Perhaps the furniture and decor you’ve moved from one home to another feels a bit smaller. Meet the scale of a space by manipulating the orientation of your rug or by layering a larger one underneath. With their neutral styles, natural fiber living room rugs are a simple way to keep the integrity of a design. For more interior design help on selecting your perfect living room rug and more, start your Decorilla project today.